PALATKA – “James Ross Mellon and Palatka’s Legendary ‘Mellon High School’ ” will be the central topic of discussion May 10 when graduates of Mellon High School gather for a reunion celebration at the fellowship hall of Christ Independent Methodist Church, Silver Lake Drive. The celebration continue from 11:30 a.m. to 2:30 p.m., reports Edwin Reid. 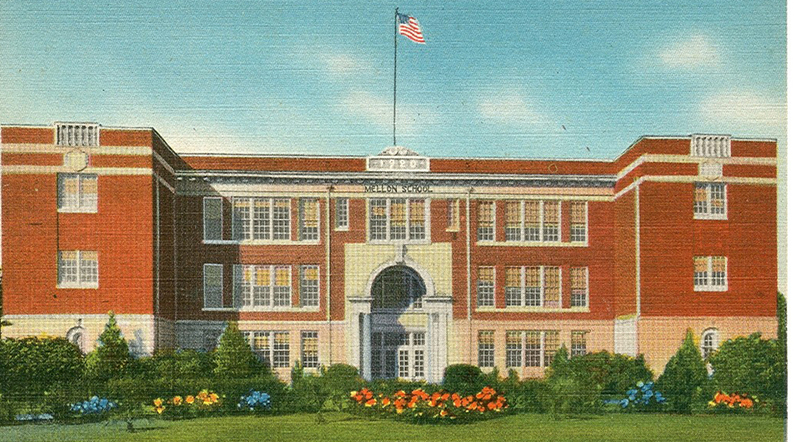 “Our reunion has invited past grads of our old Putnam Mellon High School, which closed at the end of 1954,” Reid notes. Between 50 and 60 classmates and guests are expected for the May 10 event. A highlight of this reunion is the availability of “James Ross Mellon and Palatka’s Legendary ‘Mellon High School’ ” authored by classmate and former superintendent of schools for Putnam County, Carey Ferrell. The six-page article spotlights James Mellon, who summered in Palatka for n years contributing time and money in bettering the city. The Mellon school was built in 1921 on property hat Mellon donated downtown next to the Putnam County Courthouse. The building was torn down in the 1960’s to make room for a parking lot for the courthouse. Ferrell’s book takes the reader back to 1888 and the first high school., Reid notes. Included with the history are a variety of photos, including the Mellon’s Palatka home and other historic photographs.